I was a typical 90's child. In my heart I am still playing my Tamagotchi, wearing Jelly shoes whilst rocking a stretchy tattoo necklace (remember them!). On the radio we had the likes of Spice Girls and 5ive blaring whilst listening to cd's on our Walkman's. What's amazing is that so much of the fashion and toys in our stores currently reflect that of the 90's so it feels like I'm living my childhood through Max again. Obviously without the bad fashion mistakes though. Your first pet and your first handheld computer. 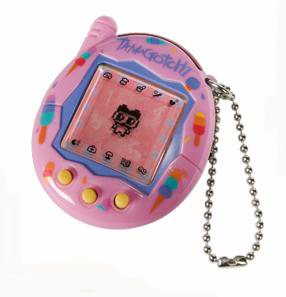 The Tamagotchi was one of THE electronic toys in the 90's. A small handheld toy that has a creature living inside of it. Your aim is to take care of it and make sure that all of it's needs are fulfilled. I loved these. The amount of times that friends would be asked to care for them if you were going away just like a normal pet. And when you snuck it to school to make sure that it didn't die when you were in lessons (maybe that was just me) my Tamagotchi lasted until the batteries died in it and it got thrown to the back of a drawer. I've seen that there's a revival on the Tamagotchi scene, go on and buy yourself one. I won't tell anyone if you won't. Remember when Pokemon only had 150 characters? 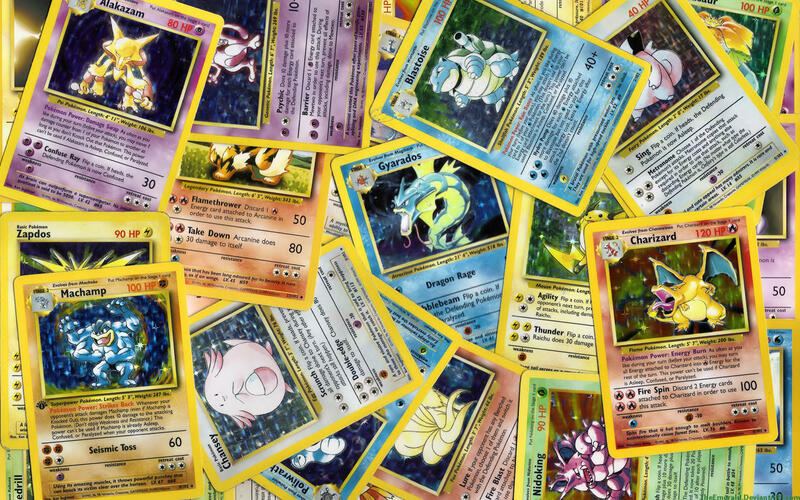 Getting a pack of Pokemon cards was the greatest thing when you got handed that pocket money. Trading with your friends in the playground and finding that all important shiny card (I got a Charizard!). Now I know Pokemon is a brand that hasn't stopped growing but the original series, tv show and game made you feel like you were part of something really special. I don't think many of us knew the actual rules of the game, the rush of getting a pack of cards was more than enough for us kids. 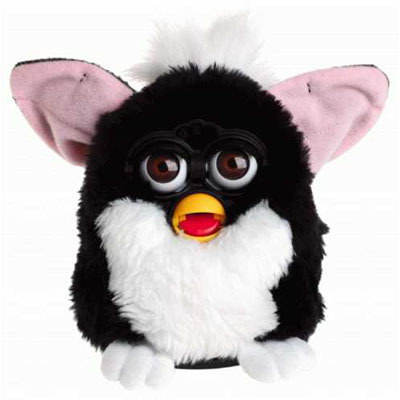 Again, a toy that has made a comeback is the Furby. Whilst it looks loving on the outside, it was in fact quite an evil being. At least mine was! The furry robot that resembled Gizmo from Gremlins spoke in its own language and had a list of demands from feeding to sleeping. Putting two together meant that they would talk and dance with each other which was quite strange to say the least! The batteries never seemed to die and mine came back to life after about 4 years of being in a cupboard! The revival of the Furby has brought back a range of memories, but the main one was it waking me up in the middle of the night most days demanding to be fed and stroked to sleep. So there's this brand out called Polly Pocket. Nowadays it doesn't seem to really be pocket sized. 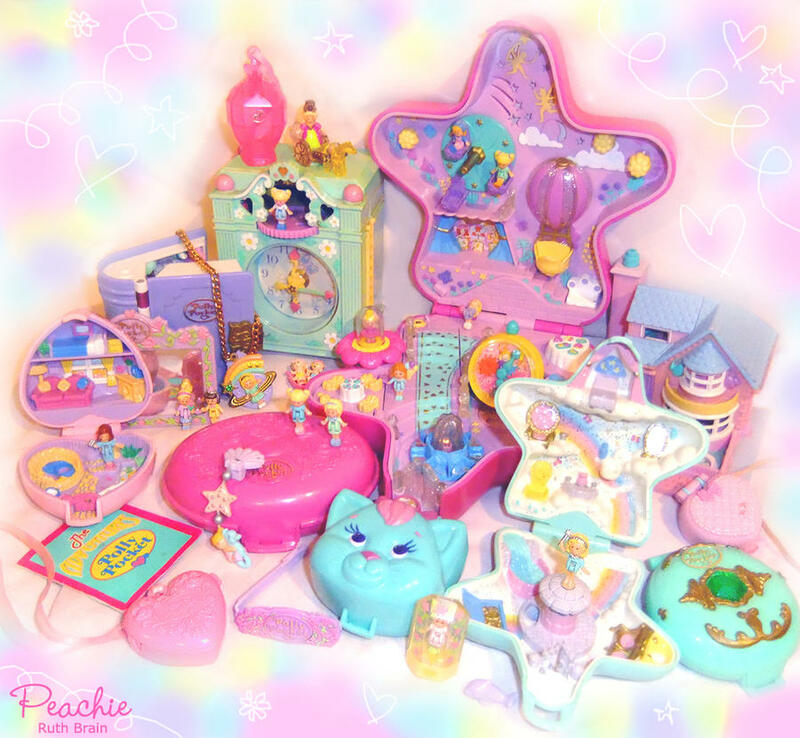 When I was a kid I loved to play with my Polly Pocket. Thinking about it the parts were so small that I'm not surprised they increased the size of them. It was so much fun to be able to fit 3 or 4 in your handbag (along with your Lipsmackers gloss) and be out for a meal and play with your Polly Pocket. I had them all from the carnival star to the fairy princess castle. I seriously regret selling mine when I was younger. How much fun would I have with them now! Beanie Babies were my favourite! Combining my love of soft toys and collecting was a dream for me and I had boxes full of them. I remember searching for my favourites, finding new ones and buying tag protectors because you knew that in years the value would have tripled. Unfortunately like everyone else, I realised that they weren't as valuable as what we all thought they were and got rid of them in a teenage strop. That's not to say I don't love them still and whilst they do look a tad strange now it's wonderful to see the brands they are collaborating with to create a craze of Beanie Baby addicts for the new generation. What was your top childhood crazes?